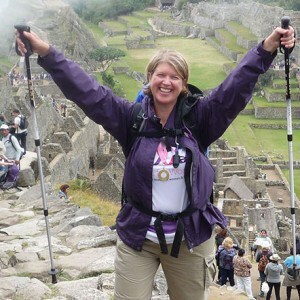 When I signed up to do the Inca Trail to Machu Picchu in Peru for charity, I knew it would be demanding, but nothing prepared me for the experience that I went through and the extremes of undertaking the challenge. Charles Luckman said, “Success is that old ABC, Ability, Breaks and Courage”. When I was sat in the medical clinic at 5 am on day one of the Inca trail, hoping to get the sign off to do the trek, I knew I had the ability and the courage to do the trek, but needed the Doctor to give me the lucky break I needed to allow me to walk the trail. The last thing I wanted to do was to be one of the ‘clean ones’ taking the train to meet my group on Thursday morning. I was ready to do it, despite feeling under the weather. But nothing can really prepare you for this type of challenge. None of us knew how we were going to be affected – the long and exhausting days, lack of sleep, the high altitude of course, and the sheer scale of what we were undertaking at times. Steps, steps and more steps! But you have to keep at it, break through some of your own barriers and take that next step to get up and then down the mountain. I was inspired by the determination of the ladies on the trip, who were there for others when they needed their support. The level of camaraderie was amazing. Simple words of encouragement, a chance to let off steam, and a shoulder to cry on were all much needed over the four days! I already know that to be successful in business, you can’t do everything yourself. And the same was the case on the Inca trail. Our support staff of porters, tour guides and the most important man of all, our Doctor, kept us going (and kept us alive) to make it to Machu Picchu. When you’re up a mountain, you’ve got to be courageous and keep going, however you feel – there is only one way to go after all. There were certainly times when I felt I couldn’t keep going and it was a challenge, and I certainly used all my internal resources to complete the trek. At those times I felt myself doubting my abilities, and everything I know about mindset and teach my clients went out of the window. But on the plus side, those thoughts of doubt were counteracted by other moments of laughter, fun and instances that I won’t disclose in this blog post! I also knew deep down that I was going to make it and was ready to see the awe-inspiring view of Machu Picchu, the jewel at the end of the trail. 1. It is all about the journey, not the destination. Although it was a wonderful experience to see Machu Picchu, the experience and learning for me was about the journey, and taking time to savour the sights, see the changing scenery and experience the wonder of the mountains. 2. You can only walk the Inca Trail one step at the time and the same applies to life and business. Having a clear path is important, but having the courage to put down your feet and trust that you will get there is a big lesson for me. 3. It’s easy to get caught up in the doubts and the difficulties, but taking time to realise what you’ve achieved is incredibly important. From narrow paths, steep drops, as well as all those steps and uneven paths, remembering what you have achieved and celebrating it is an important message in business. My trek to Machu Picchu along the Inca Trail is an experience that I’ll never forget. I’m sure I’ll soon forget the difficult moments and remember the life lessons that serve me and give me the courage to keep on my own journey and achieve even greater success. I’d love to find out how your life experiences have shaped your own journey and the lessons you’ve learnt in business. Please leave your comments below. Oh, and of course if you would like to sponsor me for this achievement, please go here! You may also like: What Makes You an Expert? 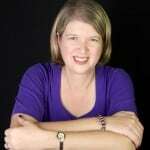 A business mentor, author, speaker, and firewalk instructor, Karen Williams from Librotas Book Mentoring & Publishing inspires business owners to reach their true potential and achieve success. 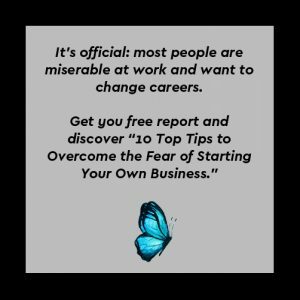 Karen predominantly works with solopreneurs in personal development industries, who have decided to break free from the corporate world and want to create a successful business, stand out from the crowd and enjoy every step of the way! She is the author of The Secrets of Successful Coaches and How to Stand Out in your Business.